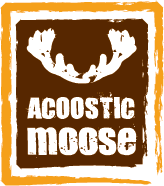 The Acoostic Moose name is a recognised and respected name within the live music and wedding industries. Starting life as a duo in year 2000, The Moose now perform for up to 50 happy couples per year in several different formats. Acoostic Moose are of course still offered as a duo with Mick Fetch as lead vocalist, but they can easily be expanded to a 3, 4, 5, or six piece band if required. * A fully customised outfit tailored to suit the style of music you want. * A specialist Wedding Band, not pub and club singers who like the idea of playing at weddings. 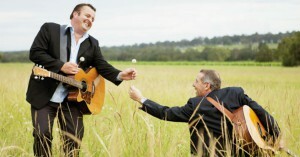 * Chilled acoustic music for ceremony, canapes and dinner, then a full dance floor – GUARANTEED!! Peppers Creek Barrel Room, Tamburlaine Wines, Brown Sugar, Hunter Valley Gardens, The Barrel Room Tempus Two, Bimbadgen Estate, Tulloch Wines, Lindemans. Contact us today for a no obligation chat about music for your wedding or function.